It's over - three days of great joy and grace! Soon, you will all meet our postulant, Julia Elena Abdala. She is a wonderful addition to our community and is looking forward to classes and instruction. 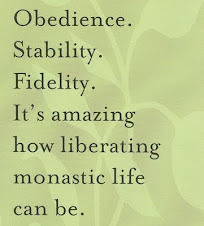 Our Sister Kathleen Persson made her Perpetual Monastic Profession - the promise of life-long fidelity to our monastic way of life. Sister Karen Lynn Trespacz renewed her monastic profession for one more year, and Sister Lilliane Normand began the transfer process - a three-year shift of her stability to this monastery - at the same liturgy. Then, Sisters Joann, Shirley and Andrea made their First Monastic Profession on Sunday evening. Five ceremonies in one holiday weekend! For the liturgist it was like Easter all over again! I guess "alleluia" is the right response to the bounty of new life in our midst. Praise GOD from whom all blessings flow and thank you to ALL who pray for vocations to religious life. Sister Lilliane receives our Vision Statement. Sister Karen Lynn signs her profession formula. Sister Kathleen sings the suscipe - an ancient prayer of self-surrender. Preparing for our BIG weekend: one new postulant, three First professions, one renewal and one Perpetual Monastic Profession! Sister Kathy will receive Sister Agnes's ring. "Saints of God in glory, be with us..."
“Week 52” is over – the one precious week of vacation I am given each year at Nags Head. In the company of two other sisters, I overslept, read books, prayed when I felt like it and ate WAY too much. I am always grateful for these days of holy leisure – for the return to some natural clock inside me. I am rested and renewed and very grateful to my beach companions for the gift of their presence. One of the thoughts that came in the car on the way home – other than, “I wish I had TWO weeks at the beach!” – has stayed with me in the transition to “real life”. We have this tradition at the beach. When the last day of your vacation comes, you clean the house from top to bottom – scrub the bathrooms, vacuum, wash sheets and remake the beds for the sisters coming in that day. Then, you prepare a meal for them so that when they arrive around noon; both groups can eat to together. When the new group arrives we help with their bags, boxes and coolers. After lunch we clean up the mess and leave them to their “week 52” in a fresh, clean house. It’s hard work, that last day. By the time we got our things into the car and waved goodbye, I was ready to collapse. It was then that the thought came. That Sunday ritual on the last day of vacation is our annual “foot washing”. It is our opportunity to serve our sisters in the humblest of ways. Scrubbing toilets and changing sheets – these simple tasks are the most loving. Mothers understand this. To prepare a fresh bed for a loved one is sacramental. So is cooking, serving and cleaning up. We wash PLENTY of dishes at the monastery, but in this setting it is so much more intimate. Our time of leisure is ending and instead of feeling sorry for ourselves, we choose loving action for those whose joy is yet to come. We bend and wash and serve. It is very much like the service Jesus asks of us in the Holy Thursday liturgy. The Lord of sun and moon bends to wash the tired, dusty feel of fishermen. I watched our prioress make beds, empty the dishwasher and scrub a bathroom. This is real love – the love that regards the good of the other as sacred duty. Our “foot washing” at the beach remains one of the sweetest examples of the goodness of this life. It will be 51 weeks until we go to the Outer Banks [but who’s counting!] The example of what was done for us and what we did for others has become an icon of humble love. It’s taken me 10 trips to the beach to see it, but now the basin and towel will never be the same. I love Thomas. 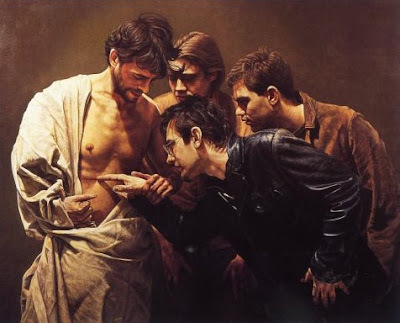 His human need to see and touch the Lord resonates with something really true about the human condition. We believe what we can see, what we can touch. For this reason UFO’s remain the subject of speculation or silly jokes. Attorneys search desperately for “proof”. Science advances only when a hypothesis is successfully tested. Human love, of all things, requires some sign – some concrete expression to establish its existence. For this reason, Thomas is the biblical representative of the “show-me” school of love. We believe that we are loved when someone acts like they love us. Husbands take out the garbage and bring home flowers on Valentine’s Day. Wives put power tools under the Christmas tree and often relinquish control of the TV remote. In the monastery, we have a hundred little ways to show love for one another. Someone leaves a note of encouragement in our mailbox, or saves us a piece of our favorite dessert. We lend a hand when someone seems overwhelmed by their work. We pray for each other in illness or for success in public ministry. Love is evidenced in a smile, an embrace or a listening heart. It is made concrete when we make our presence at prayer a priority. It is given shape and texture in the dish room and in the kitchen. Love literally takes on flesh in community in a myriad of particular and very ordinary ways. 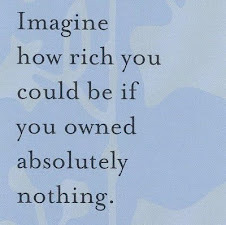 The real challenge comes when we feel unloved. Community can disappoint us. We can feel unnoticed or forgotten. The poison of envy or resentment can clog the arteries of the community heart. Someone hurts us - consciously or unconsciously - and we are shocked by our vulnerability. We can lose our bearings in community without the concrete assurance of love. I suspect that is how Thomas felt when the others experienced the risen Lord. It must have been a very long week between those two appearances. “Why them, Lord?” “Why didn’t you wait for me, Lord?” “Don’t you love me, Lord?” Perhaps, he prayed harder than he ever had before. Maybe those very prayers demonstrated more faith than that of the eleven who received the gift of his presence. Poor Thomas needed to see the Lord to believe in a love stronger than death. He needed to touch that broken body to be certain that he did not hope in vain. I suspect Jesus came to him for that very reason. When we feel unloved by God or by the community or, more importantly, lose the healthy self-love that grounds us, it is then that the God of Jesus Christ shows us how deeply we are loved. That love may comes in a Word during lectio, in a dream, in an unexpected kindness from someone we thought gave up on us, in an apology that was long overdue, in a new friend who sees something beautiful in us. Jesus came back for Thomas and he will always come back for us. May we open ourselves to be his love for one another this day and unto eternal life. To all who have a special child in your midst, take heart in the story of the Baptist. Though no child will be called to do exactly what he did, GOD still uses us to further the coming of the Kingdom. Each one of us has some part to play – some assent of our will to add to reign of God. The special child in your family may have more on their “to do” list than you can imagine. Cherish the one who sticks out and seems so different from all the rest. God is always doing something and that something begins from our mother’s womb. We are all “fearfully, wonderfully made.” Some, like John, have very special work to do. Sister Patricia Anne Driscoll, OSB, marked fifty years of monastic profession this past Saturday. Surrounded by her community, her family and friends, Sister Patricia Anne renewed her promises before GOD, the saints and her prioress. Festive song, flowers and ribbons spoke to one and all of the great joy of jubilee. Though the celebration seems centered on one sister, it is actually a communal acknowledgement of GOD's goodness and providential care. GOD continues to call faithful women to a life of prayer and work in the tradition of Saint Benedict. That constant call enables us to be a community with a history of 144 years and future that is graced. Please join us in thanking GOD for the gift of Sister Patricia Anne and for the faithful love that carries this community forward in hope. Sister Cecilia and Sister Roberta reverence the altar. Sister Miriam of Holy Name Monastery proclaims the Word. Sister Cecilia reflects on a life of prayer and work. Sister Patricia Anne reads her original monastic profession. The Suscipe is sung three times. To dwell on the Spirit is really to dwell on a very great mystery. Jesus had to leave the world physically to be more powerfully, intimately with us in the Spirit. 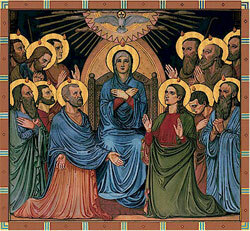 The Ascension left the apostles in confused grief but Pentecost brought a new mode of relationship – an even deeper experience of his risen love. Where you are not we have naught. This line from the Pentecost sequence has lodged somewhere in my heart. In it there is a truth about the Holy Spirit. Freed from the confines of human flesh, the Spirit of Jesus can be everywhere – reach every human heart. The Spirit of Jesus permeates all life and dwells particularly in the souls of the baptized. The Spirit is the source of our desire to pray and the giver of peace. Perhaps we have trouble understanding the Holy Spirit because without the Spirit’s presence we would not even wonder or question or seek. So deep in us is the Spirit’s home – so holy our flesh as her temple. If we could see the Holy Spirit, it would be like seeing the air we breathe or counting each heartbeat. Jesus said, “I will be with you always until the end of time.” The Spirit is the fulfillment of that promise. The Spirit carries the Church in its brokenness – assures Christ's mission of compassionate love will succeed in spite of our sins and blunders. The Spirit has no voice but ours. 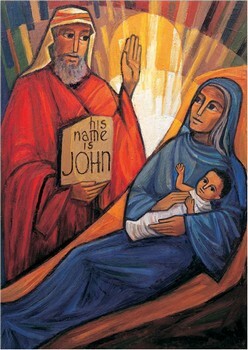 As the Church moves forward toward some day of great wholeness and wonder – the reign of God – may we each reverence the voice of the Spirit in the events of our lifetime, in the moments of great clarity within each of us and, most especially, in the faithful who bear the wounds of the Lord in this day and age. There is a breeze blowing…a wind gathering strength in the Church. It is the breath of God hovering over our chaos – making something beautiful and good. For nothing, nothing is impossible for God. "Receive me, O God, as you have promised that I may live; and disappoint me not in my hope." 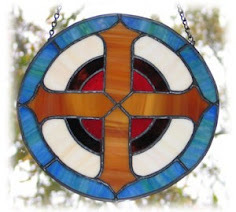 I am a Benedictine Sister of Virginia since 2002. That's the most important thing about me. 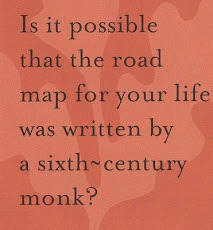 I am 47 years old - nine years in the monastery - and a native of the great state of New Jersey. I have served as Vocation Director since 2004. It's the best "job" I've never been paid for. The heart of our life is found in these small reflections. Welcome to Saint Benedict Monastery - my home.